In a couple of days, the blog will be taking over my main web page. This will save me money and it will be easier to tell people to go to RKDeemReort vs. telling them to go to blog.RKDeemReport. I am working on creating a redirect so if you still go to blog.rkdeemreport.com, you’ll automatically end up at the new location. This weekend we ended up having a party in my in-law’s garage. It was an excellent time thanks to my friend’s donated beer pong table. Beer pong was fun, but flip cup seemed to bring out the fiercest competition from the entire group. I’ll have to post some pics, there’s some very funny images from the night. My sister celebrated her 25th birthday that night, she’s quite a trip, never fails to represent the Deem family name with pride. Happy Birthday Kate! This week I’ll be working the Eagle’s preseason game, if you’re headed down let me know. I’m hoping I get to see Michael Vick take some snaps, I’m ready to be his fan. Next week I’m headed up to the 1,000 Islands for a week long vacation, I think we’re stopping in Ithaca on the way home. Remember, the blog will be moving in a couple of days, so just go to RKDeemReport if you don’t find it here. 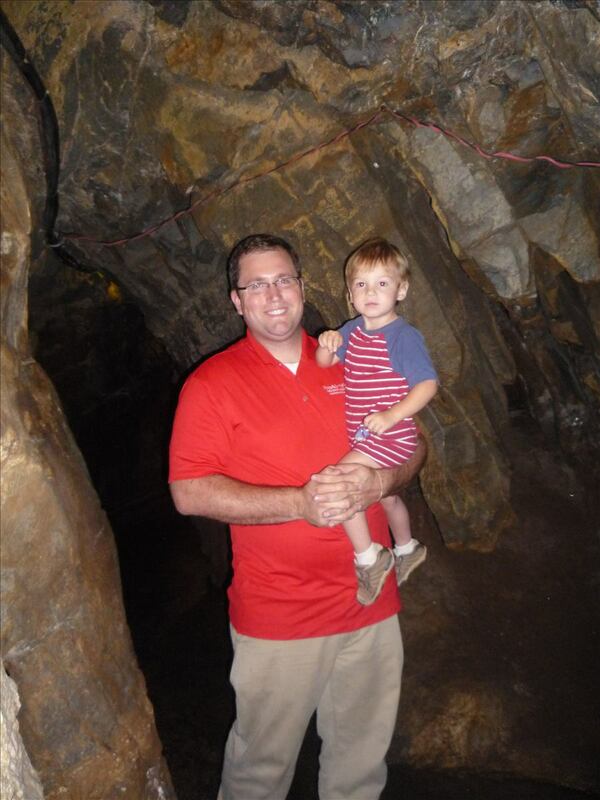 Winston and I in the Lost River Caverns in Bethlehem, PA. Overall, I’d say the cave was worth the $9 price of admission, but barely. I wouldn’t go out of my way to see it and we didn’t have to. We were in Bethlehem for Eagles Training Camp. The one thing that we learned was this, a stalactite is tightly secured to the ceiling of a cave, a stalagmite might some day reach the ceiling, that’s how you can tell the two apart. Had to go to Kansas City for work, everybody told me to hit up the plaza, aka the Mission District. 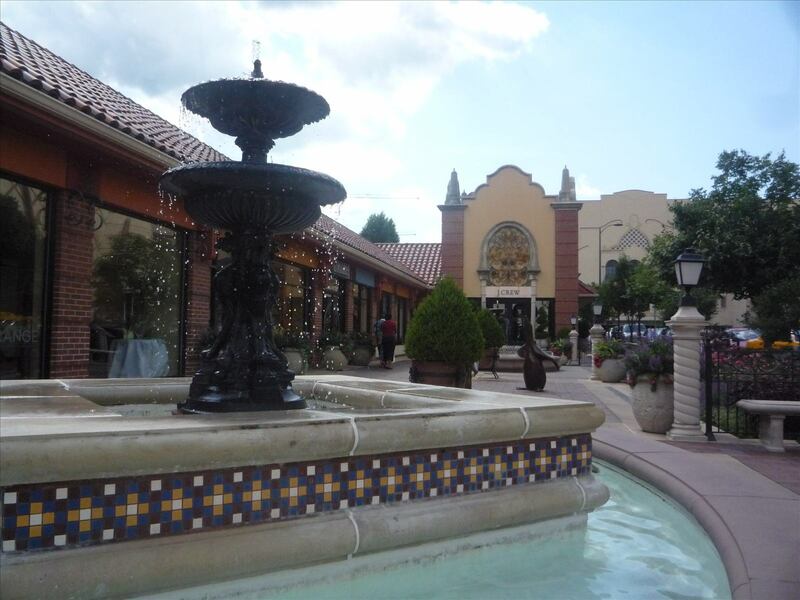 It was upscale, trendy, and artsy, but it was completely Disneyland, not really authentic or specific to KC, just a series of shops built to attract tourists. It was nice and I’m sure it is popular with many, but I needed to find something that was real deal KC. I wanted to find the real deal and I did! I tracked down the best barbeque joint I’ve ever encountered and a place that is unique to Kansas City. 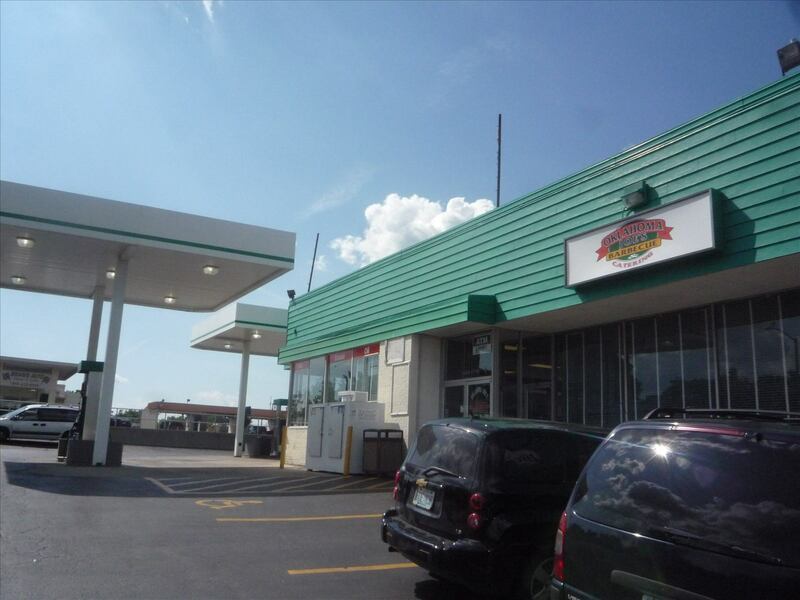 The place was called Oklahoma Joe’s and I never would have found it without the GPS, it’s basically in the middle of nowhere, even when I arrived, I didn’t know I was there, it looked like a gas station to me and I was right. There was a small sign and a neon pig that verified the gas station also sold barbeque, so I stepped inside and was introduced to pure heaven. The restaurant is half mini-mart, just like you’d find ay any gas station, but the other half was a terrific barbeque joint that served up glorious, glorious food. 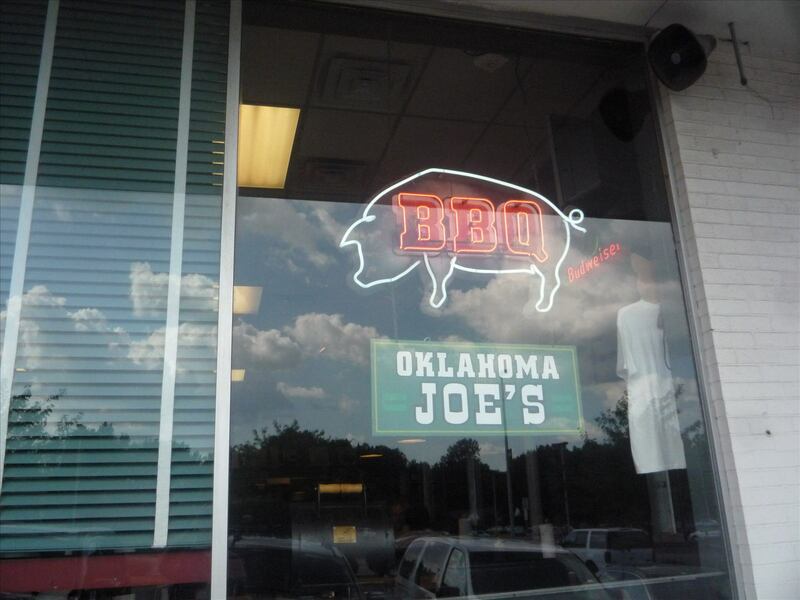 If you’re ever in KC, find Oklahoma Joe’s. 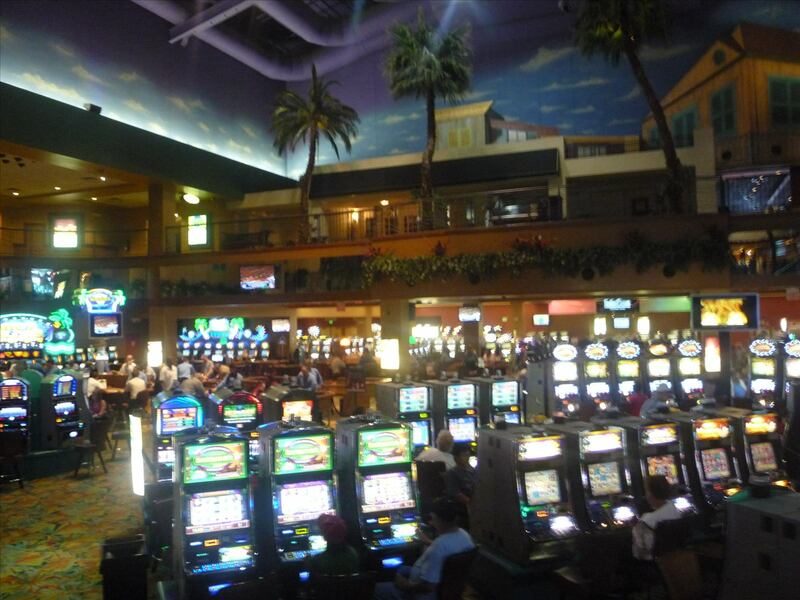 As I headed home to the airport, I found a River Boat Casino and decided to check it out. 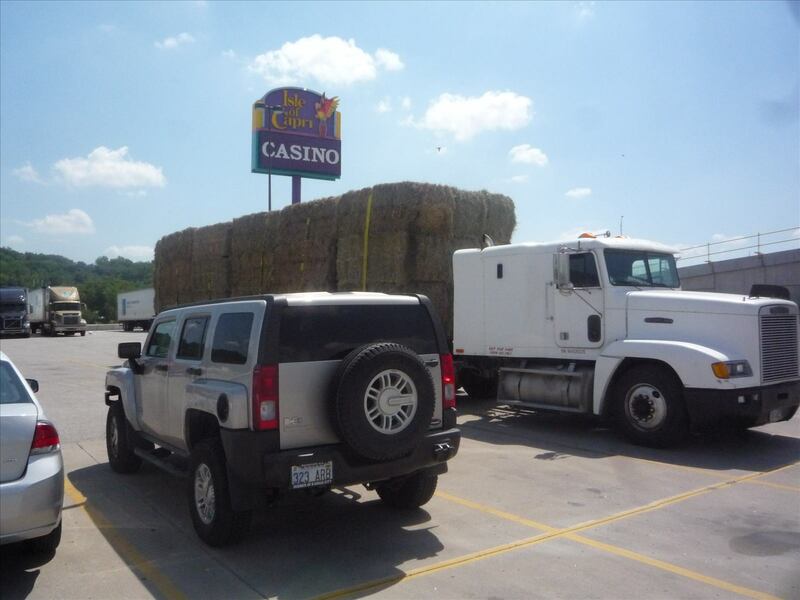 Nothing particularly interesting about a River Boat Casino, they don’t allow gambling on the land, but you’re allowed to gamble on the Missouri River. It’s not really a boat though and I was disappointed to learn that. It is just a big building built in the river. 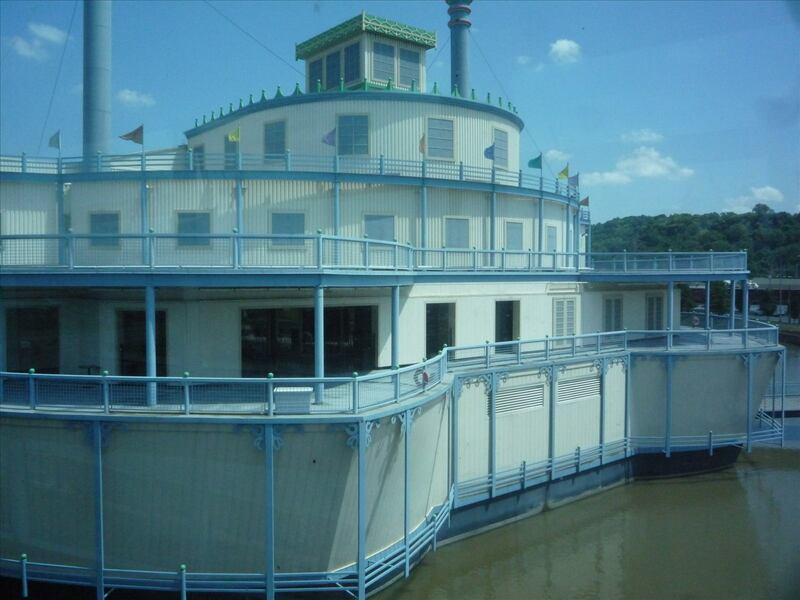 You have to walk over about a 12 foot bridge to get on the river boat, once you’re in, it’s like any other casino. There’s a lot of stuff in between those entries, lots of goofy and entertaining posts, lots of beautiful pics of my wife and kids, lots of little setbacks and little victories, but on the whole, I can look back and see progress. Progress is just a series of decisions based on the “convictions of honor and good sense”, the money, the house, the jobs & responsibilities will be the byproduct for which I am not concerned. I talking bout Progress, not a game, not a game, PROGRESS. a. Referring sites that utilize some of the images from my site. One image in particular gets a lot of attention, it is a picture of me and Jaclyn in November 2007 in a hot tub, there’s a caption above the image that says if you look close enough, you can see that I’m naked. This claim was totally false, but an image paired with the work “naked” generates a lot of hits. If you’re trying to drive traffic to your web site, naked pictures is one way to do it (I am not endorsing that as the best or only solution, just one way of accomplishing a goal). b. The Google search engine drives a lot of people to my site. People like to Google the best bar in Doylestown, Gross’ Chicken, Enterprise Rent A Car, etc. A funny side note is that I was looking at what people were searching for when they ended up at my site and someone entered this into Google, “Ever rent a car and destroy it?” I have no way of contacting that person, but I’d love to know if he/she destroyed a rented vehicle. When I was being forced to sell the damage waiver at Enterprise, I always thought that someday I’d come back and rent a car, take out full insurance for $29.99 and drive the car off a ramp into a lake or something. $2.99 payment from October 2008 to Present (11x$2.99= $32.89). Google Ad Revenue = $17.49 (for a total of 49 clicks). My venture into online advertising has netted a loss of $15.41, maybe I can write the loss off in my taxes? I intend to keep the blog in its current format and lose the website, I may even try to move the blog over to RKDeemreport.com, I’ll let you know. If you’re reading this far down, please click on an ad or two and help me recoup some of my operating expenses. Don’t click too much, I am not ready to retire yet. Overall, I’m still proud of the product I’m putting out. August 7th marks the second complete year of the blog and I think it documents some amazing stuff and some not very amazing stuff, but a pretty good reflection of what’s been happening. Thank you all for reading, I really do appreciate it. It’s close to midnight on Sunday, I need to sleep because I have a crazy work week starting in 6 hours. 1. My parent’s backyard has a creek that typically runs about 24 inches across, we had a freak thunderstorm and it swelled up to about 50 feet across and we seized the opportunitiy with an excellent kayak run. Notice mom having to go through an open gate to make it across the whole yard. Jaclyn, Winston, Dalia and I all went to Eagles Flight Night at Lincoln Financial Field. It was a ton of fun with all kinds of prizes, t-shirts being shot from cannons, movies, and fireworks to constantly keep your attention. It was awesome to get an early taste of the football season. I think Winston actually loved it, loved it all. Dalia was pretty concerned by the loud PA system, ACDC music, and pyrotechnics.